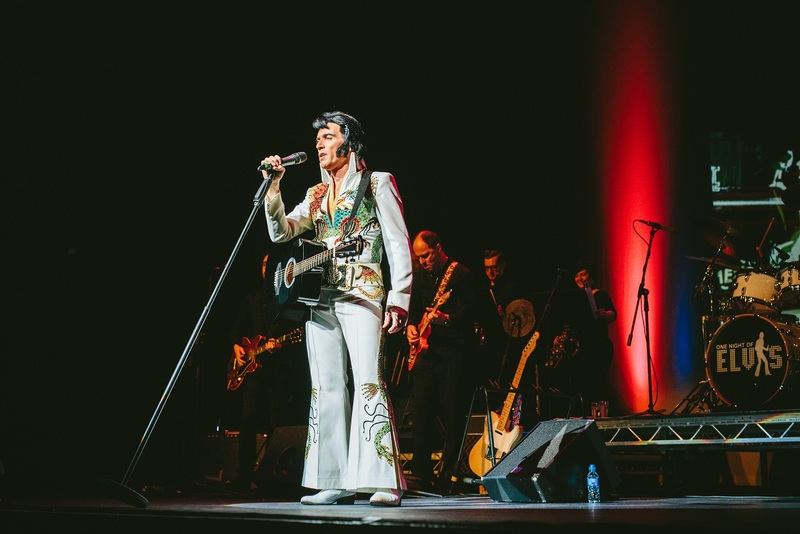 Europe’s most successful Elvis Presley tribute artist - Lee Memphis King, presents the ultimate tribute to The King - celebrating the entire career of the musical legend. This spectacular show begins with an authentic recreation of the 1950’s rock’n’roll years, progressing through the movie years to Elvis’s return to performing in his’68 comeback special. The second half culminates in a rousing expo of Elvis’s years performing in Vegas. Lee brings the majesty of the voice and the electrifying power of Elvis’s performance back to life. Accompanied throughout by his world class band and backing singers that breath the life into the music of a legend. The show also features large screen projection, making it the biggest Elvis show to tour UK theatres. Over the last 10 years as Lee has toured his ‘One Night of Elvis’ he has picked up many accolades including ‘Best professional Elvis tribute in the world’ at the 2005 Collingwood Festival and World’s Greatest Elvis’ finalist and has headlined and sold out some of the most prestigious venues across the UK and Europe. To any fan of Elvis this show is the only way to enjoy the music of the greatest, most celebrated artist the world has known. Prepare to be enthralled by this amazing musical journey and spend one night with Elvis. “When I closed my eyes I could feel Elvis” Joe Esposito - lifelong friend of Elvis Presley.